Welcome to the December 17, 2018 edition of ACM TechNews, providing timely information for IT professionals three times a week. North Carolina State University (NC State) researchers used text mining to explore the effect of microaggressions on African-American computing faculty, with emphasis on the difficulty of attracting and retaining such faculty in computer science, information science, and computer engineering. The researchers analyzed 135 news articles published in media outlets, defining microaggressions as brief and commonplace verbal, behavioral, or environmental indignities that relay hostility, insensitivity, and negativity to an individual or group. Analysis determined black faculty were often being asked to take on more administrative duties than their non-black counterparts, weighing significantly on their chances for promotion. Microaggressions also were determined to create a sense of isolation that distanced faculty from their academic and work communities. NC State's Fay Cobb Payton said the research "highlights the need to broaden participation in the field, workforce competitiveness, and shifts from consumer to ownership/entrepreneurship paradigms." 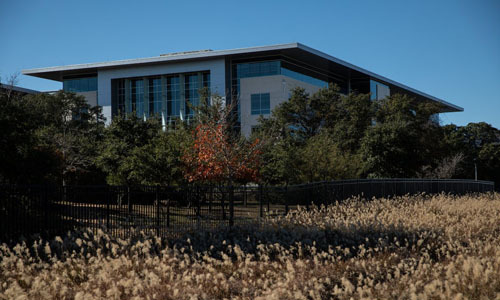 Technology behemoths like Apple and Amazon are expanding their presence outside the West Coast, due to a dearth of skilled professionals and higher costs of living. Many concentrate in cities already prospering in the knowledge-based economy, such as New York City and Boston. These firms are trying to cultivate ties to prestige engineering schools in cities like Pittsburgh, or Zurich in Switzerland, as they seek talent in artificial intelligence (AI) and other emerging technologies. Pittsburgh's reputation in the AI field is due to Carnegie Mellon University's computer science program, while Cambridge, MA, is associated with robotics through the Massachusetts Institute of Technology. Moves to set up branches in Canada and elsewhere are being driven by the U.S. government's tougher stance on immigration. However, the Brookings Institution's Amy Liu said, "Our biggest concern is how do we make sure more cities, particularly midsized cities in the middle of the country, can be players in the tech economy?" Princeton University researchers have found that social media personalities rarely alert their viewers to promotional payments for products and services shown on their channel, even though federal regulations require them to do so. Their study focused on affiliate marketing, in which companies pay a commission to social media figures for driving sales. Under this system, content creators are rewarded when their followers purchase products after clicking on affiliate marketing links included in their social media posts. The Princeton University researchers extracted affiliate marketing links from randomly drawn samples of about 500,000 YouTube videos and 2.1 million Pinterest pins. The team found 3,472 YouTube videos and 18,237 Pinterest pins with affiliate links from 33 marketing companies. Then, the researchers used natural language processing to search for disclosures of affiliate marketing relationships within the videos' and pins' descriptions. Such disclosures were found in about 10% of YouTube affiliate marketing content, and about 7% of Pinterest affiliate marketing content. Israel's Defense Ministry recently announced an investment of 100 million shekels (more than $26 million) in a research fund for quantum computing to enhance the nation's intelligence-gathering capacity. Liat Maoz with Israel's Council for Higher Education said quantum computers could crack complex encryption codes, as well as enable completely secure communications. Said the Council for Higher Education's Yaffa Zilbershatz, "The global race is already underway and various countries are investing huge sums in developing the field—and if we do not run forward, the State of Israel will be left behind." Tamir Libel with the Institut Barcelona d'Estudis Internacionals in Spain said quantum computing could be used as an alternative method for more accurate synchronization between military navigation systems. Researchers at the Massachusetts Institute of Technology (MIT) and Brigham and Women's Hospital have designed an ingestible capsule that can be controlled wirelessly via Bluetooth. The three-dimensionally-printed capsules, which can be customized to dispatch drugs, sense environmental conditions, or both, can remain in the stomach for at least a month, transmitting information and responding to instructions from a smartphone. The capsules also could be used to communicate with other wearable and implantable devices, transmitting their pooled information to the patient or doctor's smartphone. Within the capsule is a device with six arms that fold up before encasement; once swallowed, the capsule dissolves and the arms expand so the device can lodge in the stomach. Said former MIT postdoc Yong Lin Kong, "The self-isolation of wireless signal strength within the user's physical space could shield the device from unwanted connections, providing a physical isolation for additional security and privacy protection." 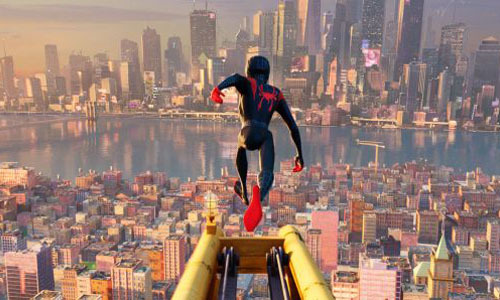 Sony has enhanced the new animated film "Spider-Man: Into the SpiderVerse" to break new ground with augmented reality (AR) technology as a production and marketing tool. Sony collaborated with the 8th Wall cross-platform AR startup, and Trigger, a mixed-reality agency. 8th Wall's Erik Murphy-Chutorian said the promotional effort included using AR so fans can engage with the film franchise by taking pictures of themselves with Spider-Man via smartphones. Another challenge was using AR to enhance the storytelling experience of the movie, since different incarnations of the title character appear and interact with each other. Said Amazon Sumerian's Kyle Roche, "You're no longer just watching the film; you can be a part of it and interact with the storyline and characters in a way never before possible." Roboticist Alexander Reben uses artificial intelligence (AI) to create works of art. His images are eventually reproduced physically in a Chinese town that is home to artists who specialize in re-creating works of art on canvas, completing what Reben described as a "robotic loop of art-making." Reben's technique begins with a computer model that combines words together to generate a single image. The resulting image is paired with other images, creating a "child" image that enhances the visual chaos. Reben views those images as an AI program measures his brain waves and body signals to identify which image he likes best; an image that passes the likability test undergoes several more rounds of AI retouching to enhance the resolution. 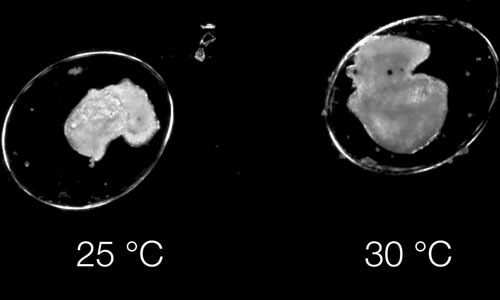 Researchers at the University of Plymouth in the U.K. created technology that could derive new insights on how climate change will affect organisms' early development. EmbryoPhenomics can generate automated measurements of the size, shape, movement, and heart rate of organisms during their embryonic stage, via the integration of a robotic video microscope and analytical software. EmbryoPhenomics can capture an embryo's real-time response to environmental stress, as well as longer-term changes over days or weeks. A team from Plymouth and the Italian National Research Council's Institute of Marine Science conducted four experiments, producing more than 30 million images of approximately 600 developing embryos. The findings demonstrated the extreme importance of understanding climate change's impact on the early life stages of different species, as these responses are crucial to biodiversity. Researchers at the Universidad Carlos III de Madrid (UC3M) in Spain, working on a European research project called TBO-Met, have developed an algorithm that maximizes the predictability of flights and reduces their risk of running into storms. The TBO-Met project aims to optimize the trajectories of aircraft, in order to avoid problems with flight safety and delays. It is estimated that approximately 20% to 30% of delays in Europe are related to the weather, with resulting losses to the airlines of up to 200 million euros (around US$227 million) each year. The algorithm analyzes sector demand in terms of the number of planes that should be operating, and trajectory planning, accounting for the uncertainties of the weather forecast and storm activity. Taiwanese rice growers are using big data as a part of a pilot project to ensure the resilience of crop production in the face of climate change. 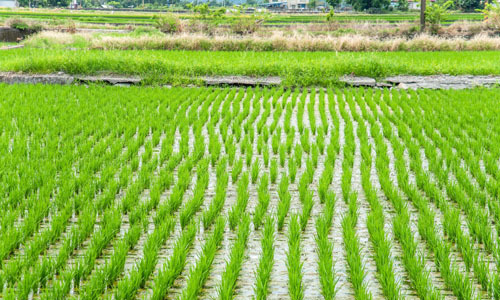 Startup Owlting outfitted a local farmer's rice field with sensors to monitor rain, temperature, and chemical content of the soil, using a wireless network router to post the data online to consumers. Owlting's Darren Wang said the collected information "will become part of a growing database that will eventually allow farmers to optimize their production cycle." Another goal for Owlting is to add financial services to its repertoire, with a focus on offering growers a fee for joining the data collection network, while insurers are being granted the right to sell on this information. Farmers envision such tools as boosting transparency about the food supply chain in real time, to better position their crops as a leader in quality. Purdue University, the U.S. National Institute of Standards and Technology, and Theiss Research researchers have developed a memory cell with multiple layers of two-dimensional material stacks. The researchers tested molybdenum ditelluride because of its potential to be both faster and more reliable than other materials due to its unique switching mechanism. Molybdenum ditelluride allows a system to switch more quickly between 0 and 1, potentially increasing the speed of storing and retrieving information. 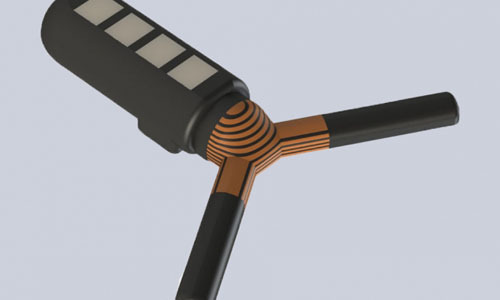 Said Purdue's Joerg Appenzeller, "Logic and interconnects drain battery too, so the advantage of an entirely two-dimensional architecture is more functionality within a small space and better communication between memory and logic." 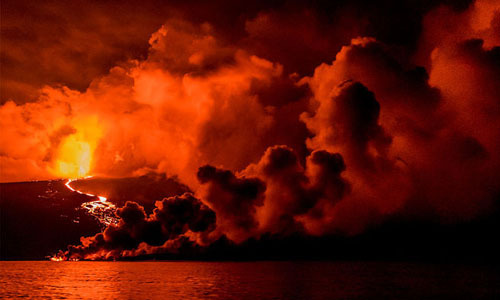 New algorithms for analyzing satellite data to automatically extract indications of incipient volcanic activity could potentially lead to a global system for predicting eruptions. Researchers at the University of Leeds in the U.K. devised an algorithm to overlay the Center for Observation and Modeling of Earthquakes, Volcanoes, and Tectonics (COMET) database of ground-movement images, or interferograms, with automated detection. The program was taught to avoid mistaking atmospheric shifts for ground motion, using independent component analysis to deconstruct a signal into different parts. A University of Bristol team built another algorithm with convolutional neural networks, initially training it on raw interferograms from existing eruption examples, only to yield too many false positives; this problem was mitigated by creating a synthetic dataset of computer-modeled eruptions, generated for a few known physical patterns. The algorithms are complementary, so COMET will likely employ both.